This Wednesday we are going to Great Bentley by train again. I will block book 8 tickets with open return, please let me know if you intend to ride. Friday we will decide on the day, however the following Friday 12th October Jon W has scheduled another train ride to Walton from where we will cycle the coastal route to Clacton and then return after lunch to Walton, again please let me know if you will attend. The Christmas Lunch is booked for Wednesday the 28th November, 13:00 Pm the Alma at Copford. I will make arrangements nearer the time for transport as I know a number of you do not drive. The lunch will be Fish and Chips followed by Christmas pudding with cream and coffee, if you require other dietary requirements please let me know. The cut of point to book is the 12th November, this will be the last year the Group will pay for the meal, shortly there will be news on the Groups new format. This entry was posted in Rides on September 30, 2018 by cfprideleader. 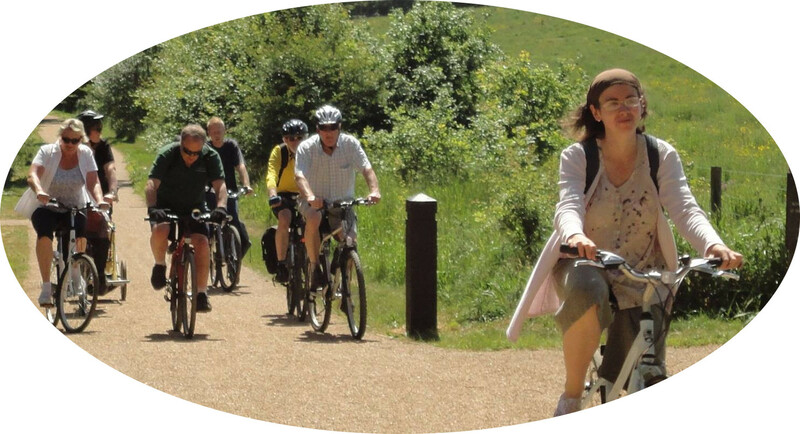 Friday Claire and I cycled to Nayland and we will add this destination to the Friday Rides. Wednesday the weather looks inclement, for those of you who venture to Leasurworld we will go to the Roman Circus before it closes for the winter. I will not be around from the 14th, Friday Riders do you own thing, Wednesday Group I have arranged a female ride leader (Pam) to take you out, enjoy. Upon my return watch this space for news re the future direction the group will take. This entry was posted in Rides on September 10, 2018 by cfprideleader. Friday I am looking at a route to Nayland, however there are hills. I will be unable to lead rides on the 14th, 19th and 21st of September and have arranged a ride leader to take the Wednesday ride out, I assume the Friday riders will sort themselves out. I have once again been looking at alternative routes for the Wednesday Ride, The Shepherd at Langham is a possibility, a ride similar to Fillpots, However, the food is not cheap £6.50 for a sandwich with trimmings. Would you please email me at stuart_cfp@icloud.com with your thoughts/comments on this. After much deliberation I propose the Christmas Lunch to be held at The Alma this year, the date for your diary November the 28th, more on this next month. Finally, the large increase in female riders over the summer is heartening. This entry was posted in Rides on September 3, 2018 by cfprideleader.